Today's world is growing and going beyond the boundaries. To keep matching to its pace, we need to constantly change ourselves, our skills and develop a craving for innovation. The birth of Kamdhenu Nxt is the result of this innovational change. 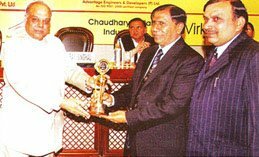 Beginning the journey more than two decades ago, Kamdhenu Limited has established itself on the pinnacle of success, being into the compelling business of building concrete foundations of development. We have put forth our effort to shape the dynamism of Indian infrastructure and have become the first company to offer branded steel products in India. Development is a consistent process of progress and what compels that progress to happen is called innovation. We should carry innovation in our veins and stand high to produce products to fulfill the diverse demands of the masses. In our country which is so huge like India, the most challenging task for us is to create something technologically advanced within the affordability of our customers. 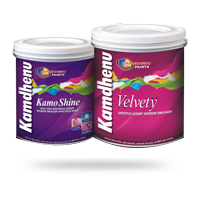 That is when our highly ambitious product Kamdhenu Nxt originated. Kamdhenu Nxt is manufactured with the cutting edge technology which is at par with the futuristic national and international quality standards. That is why it bears the privilege of being called a ‘Next Generation Interlock Steel’. It is going to change the definition of modern architectural patterns and designs meant for newly engineered structures. Behind this fact, a profound as well as pragmatic research and development approach resides. A huge team of engineers, contemporary architects and industry experts sit together to derive the methods to make the product excellently distinguished, based upon the need of the industry. The origination of the product took ample time until it came to its final phase of execution. 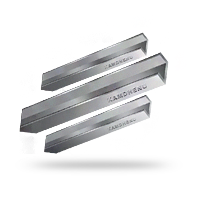 Kamdhenu Nxt has got the angular double rib design having obtained all the rights to manufacture, market and sell the exceptionally created double rib TMT bar. 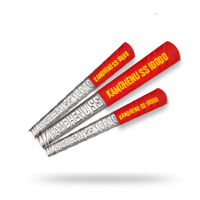 With this product, Kamdhenu Limited has reached the zenith of the double rib steel industry. Kamdhenu Nxt passes through stringent process to turn into the best double rib TMT bar of the next generation. The strength of this revolutionary product is cautiously controlled by optimizing the water pressure for their core and surface providing an optimum strength, ductility and robustness. The three passing stages in the making of this interlock steel are quenching, tempering and cooling, resultantly, this high end product gets stronger to give impeccable strength to whatsoever application it goes through. The unique design of this TMT which has ‘double rib’ design engraved sets a benchmark of better interlock with concrete mix, giving more power to the structure. 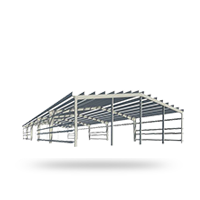 Though steel and concrete are two different materials yet they behave as a single unit in reinforcement structure. 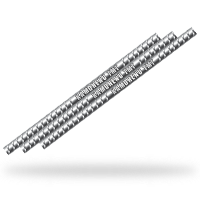 It happens when concrete grips the steel rebar to form the strongest bond through the unique double rib design of the bar. The CNC notch cutting m/c ensure uniform rib pattern which allows uniform bonding with concrete for the whole structure. Due to uniformity and critically designed ribs, fatigue strength and ductility of Kamdhenu Nxt is much superior to ordinary steel bars. In addition to the strength and ductility requirements, reinforce concrete needs adequate bonding between steel and concrete to ensure the composite works efficiently. This perfect bonding is essential for those applications where structures are subject to unexpected forces like seismic, dynamic, impact etc. 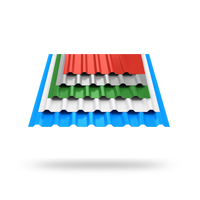 Therefore, these are widely used in concrete reinforcement structures like bridges, flyovers, dams, thermal and hydel plants, industrial towers, skyline buildings, underground platforms etc. 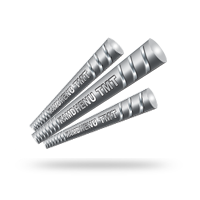 Throughout the making of this next generation double rib TMT bars, each process is highly focused upon so as to not compromise on its quality at any cost, at any stage.